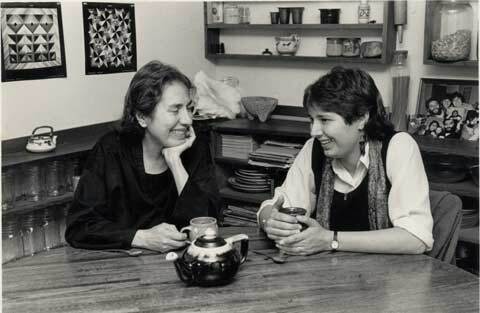 In early 1983, my mother, Rosario Morales, gave a reading of both her work and mine in Ithaca, New York. Nancy Bereano, then an editor at Crossings Press, was in the audience, and when my mother got home to Cambridge several days later, there was a letter from Nancy, asking if my mother and I would be interested in writing a book together, and listed a dozen possible topics that were everything we loved to write about. In July, 1983, I suffered a head injury in a car accident and was incapacitated for a year By the time I was able to work again, Nancy had left Crossings and started her own press, Firebrand Books. My mother and I were among the first authors to sign on. Getting Home Alive is a multi-genre book, which was very unusual at that time. We mixed poetry, prose poems and autobiographical prose, and included a section of photographs in the middle. I had the task of taking the pile of raw materials and making them into a book, creating a structure that was true to the content. What I found was that when I worked alone, at my desk in my apartment, I was haunted by the Ghost of the English Professor. He was a middle aged white man in a tweed jacket with leather elbow patches, he smoked a pipe, and he disapproved. In his presence, I found myself arranging our writing in rows, in alphabetical order, or by size, or date. It was bit graveyard-like. So I packed up all my papers and went to the Berkeley Public Library and spread them out on one of those lovely big tables and began to sort them differently. Because every time I looked up, I saw the audience of our book: working class people, people of color, old women, young teens. The Professor harumphed, put out his pipe and went away, and I created an organic form, a call and response between our pieces, a meta-poem made up of all our words. 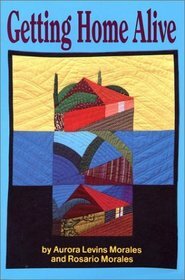 The book was first released in the fall of 1986, with a cover taken from one of my mother's quilts, and I began traveling around the country, giving readings and lectures, while my more homebody mother read locally in the Boston are, or in places she was already traveling to. And an extraordinary thing began happening. People would come up to us with battered copies that had lived in their backpacks, asking us to autograph them, telling us this book had saved them: from dropping out, from giving up, from leaving. I never saw myself in a book before, they told us. They wrote bits of our poems on bathroom walls, turned them into dance pieces, posters and bumper stickers, and took them to heart. One woman told me that reading this book aloud to each other was the only thing she and her drug addict other could share.